We will be back to Ireland. It’s a big world and there is so much to see, but we loved every minute we had there and we met some fantastic people we hope we get to see again someday. We missed a lot of things in Dublin, and I’d like to make it back if only to do the Fairies and Folklore Museum. We never finished the hop-on/hop-off tour as we hopped off at Trinity College and never got back on! We missed the entire Temple’s Bar and the oldest pub in Ireland. I’d love to do a tour with the Yellow Umbrella folks of the South side – we only had a chance to do the North Side. I’d love to do a day trip to the hills/mountians outside of Dublin. We met a couple there, Peter and Lorainne, we exchanged emails with them and we’d love to meet up with them again one day. We missed the Giant’s Causeway. We had this scheduled for the day of the storm, and everything was shut down. The roads were windy and not safe for driving, and the seaside is definitely not where I want to be as a hurricane is approaching. You win some, you let some go. We missed the entire Dingle Peninsula and I have a good word from our new friends, Tony and Marion, that Dingle is their favorite bit of Ireland, so I must go. Also, there is a friendly dolhpin I’d be charmed to meet acquaintance with. We missed the Aran Islands. Again, there was another pretty big storm on the Saturday following the Monday hurricane. I want to go to this place that is viewable from the Cliffs of Moher. We saw the light house and the tiny little houses from the cliffs with our binoculars, but, I want to experience this land where Gaelic is still the primary language, where all of the beautifully handcrafted knitting comes from, where there are wide open, untouched fields. Tony recommended we not go at this time of year – he said “It’s just a bunch of rocks laying on the ground!” How to explain to him that I think the isolation and wandering around alone with my thoughts and the stones on the ground are what I came to see?! I’m glad we didn’t go that day, though. The weather was chilly and I don’t care to be stranded outside all day with nothing other than my rented bicycle in inclement weather. Marion recommends we go back in the spring time when the flowers are blooming – and I am so all over that! We missed the entirety of County Cork, which was also mentioned as a favorite among locals. I’d love to drive the entire stretch of the Wild Atlantic Way. Marion has extended a welcome to her Equestrian riding school, where her horses were used in the Game of Thrones Series. Which I *gasp* have not seen. ACTIONABLE STEP: Check put my Pinterest board, or start your own Ireland Board. 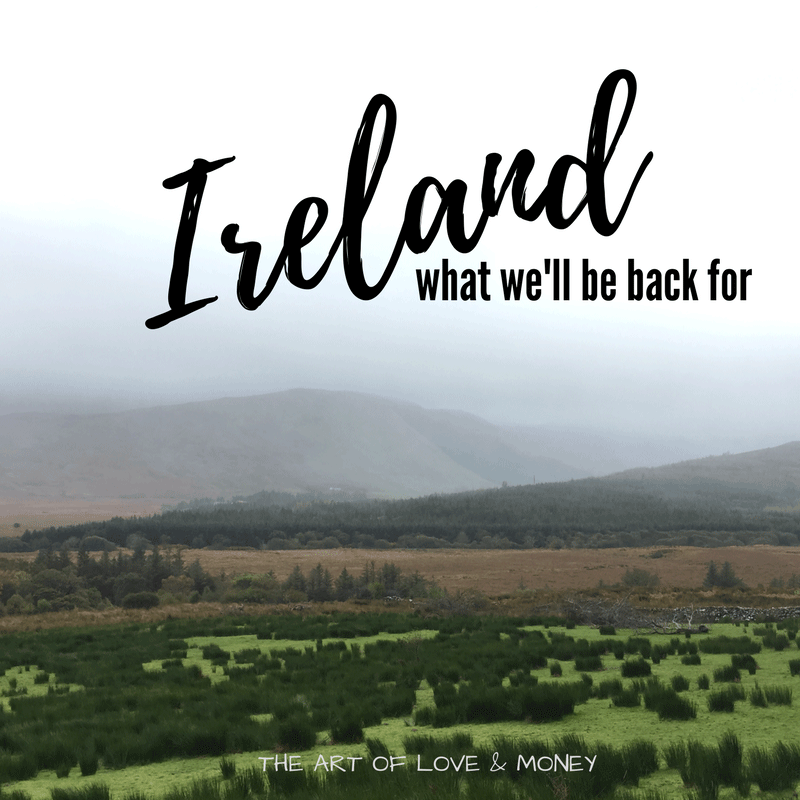 If you have any more recommendations for Ireland – throw them my way – I’d love to hear your suggestions! ACTIONABLE STEP: Go on and explore Ireland virtually. Check out the places listed online. Daydream a little.